Regency Fireplaces are a professional fire place expert based in North Wales where they offer wood burning stoves, high efficiency gas fires and more. 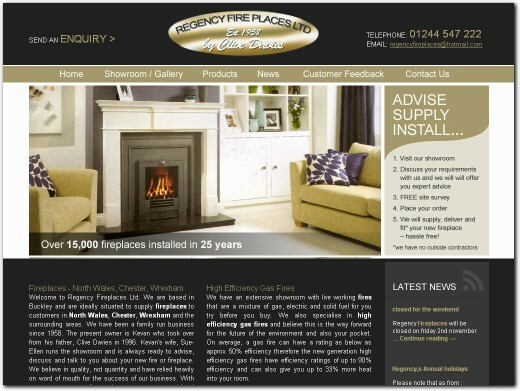 UK (Buckley) based company - established in 1958, and with high street store - providing fireplaces for sale. Website includes catalogue of products, photo gallery, testimonials ("customer feedback"), news section, full company contact details.